Timing belt service is very critial on engines these days. Most engines are known as whats called "interference", meaning when the engine looses "timing" mechanical damage can occur. 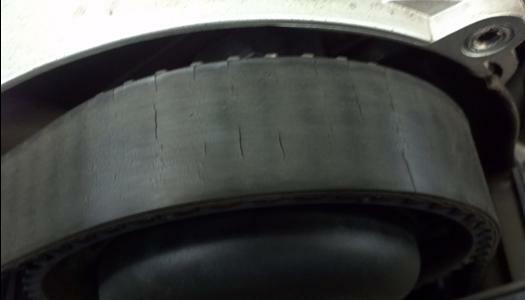 Below is a timing belt that is over due, notice the cracks on the surface of the belt. Belts are made of many different components but the main component is nylon and rubber. These components age over time, if the car has very low or very high miles these belts still need to be changed periodically. Every car manufacture has a specific time or mileage, every time a belt is replaced that interval starts over. If a timing belt breaks the damage can be sever. Not only do you have to have the timing belt replaced, which should have been done regardless, but now you have to deal with the consequences. 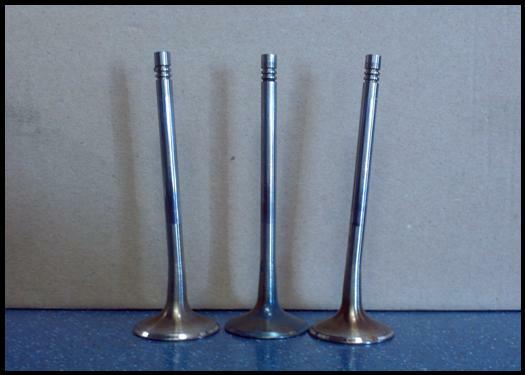 The second photo down are some bent valves of a car that has an "interference engine".